I married into an apple butter family. That may sound weird, but the Parsons love their apple butter and not just any apple butter – it comes all the way from Evan’s mom’s hometown in the Shenandoah Valley of Virginia. It’s sweet and spicy and completely delicious. We spread it on our toast, mix it into our yogurt and my absolute favorite way of eating it, over cottage cheese (I know that sounds gross, but it’s soooo good!). After our apple picking outing a few weeks back, we found ourselves knee-deep in apples waiting on their final destination. Turnovers, pies, fritters – all great things – but seeing that I’m a Parsons now too, well obviously apple butter is a priority. Peel, core and slice apples. Place apples, juice, sugar, and cinnamon in slow cooker on low for 6 hours. Use a hand mixer to puree for a smooth finish or a potato masher for a chunkier consistency. And voila! Apple Butter. Enjoy! Katie, yes! Our house smelled like Christmas all of a sudden! That Weck jar is from our shop, Mr. and Mrs. P! We’ll be posting it to our new inventory very shortly!! Check out http://www.shopmrandmrsp.com! Wow. Who knew it was so easy?! Thanks. Apple butter has always been a mystery to me… meaning I’ve just never bothered to see how it was made. I also love eating it with cottage cheese and if I had known that apple butter literally just makes itself in a pot then I would be eating it way more often! Jaime, I know what you mean. 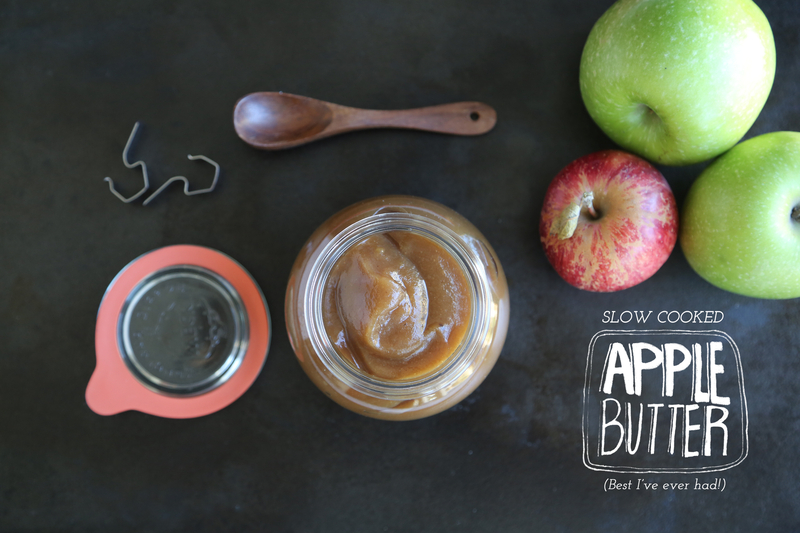 I had no idea what apple butter even was until I met Evan! But I’m so glad I discovered it because I absolutely love it! I hope you have a chance to try this recipe, it’s beyond easy and so SO delicious! Great minds think alike! And you weren’t living under that rock alone, I only learned of apple butter once I met my husband and his family. Mmmmm, pear butter sounds interesting and pumpkin puree too!! I’m definitely going to have to try that. Thanks for sharing! Cranberry juice is my secret ingredient! It adds a tartness that I love. I’m not as partial to the sweeter apple butters out there. When we are in Virginia we love to help Grace United Church of Christ (it’s the churches there that make the very best applebutter!). They meet three times during a week in October when the apples are ripe. Usually a local orchardist donates the apples. The apples are peeled and snitted on two nights. The process starts in the afternoon on a Tuesday and there is a wonderful potluck supper at the end of an afternoon of peeling and snitting. The same thing happens on that Thursday. The apples are stored in huge plastic bags and stored in a walk in refrigerator until Saturday when the are put into five huge copper pots at 5:00am and cooked for about 12 hours with lots of sugar, with constant stirring by many helping hands! There is such a thing as an “applebutter stroke” — meaning the way you stir (in a figure 8). At the end of the 12 hours, the same person every year tastes the applebutter and determines the exact amount of spices to add to the pots. Grace Church makes the very best. Sadly, in 2012 they did not do it because there just weren’t enough people, but the church I grew up in (Mt. Calvary Lutheran) did, so Jerry and I helped them. We just love being part of that tradition in the Shenandoah Valley of Virginia. Awe, love you too Mert! Mmmm, that hot apple pie sounds delicious. Thanks so much for the background story on your local apple butter, I’d love to see it being made. Maybe next fall! Thanks Olivia! I love your profile photo! We love the idea of this tangy apple butter with cottage cheese. What would you pair it with? Ice cream? Porridge? I think it would be great on porridge or oatmeal and you’ve piqued my interest regarding ice cream! I think warm apple butter over vanilla bean ice cream would be incredible…and now I must try it! you’re so welcome! I hope you enjoy! 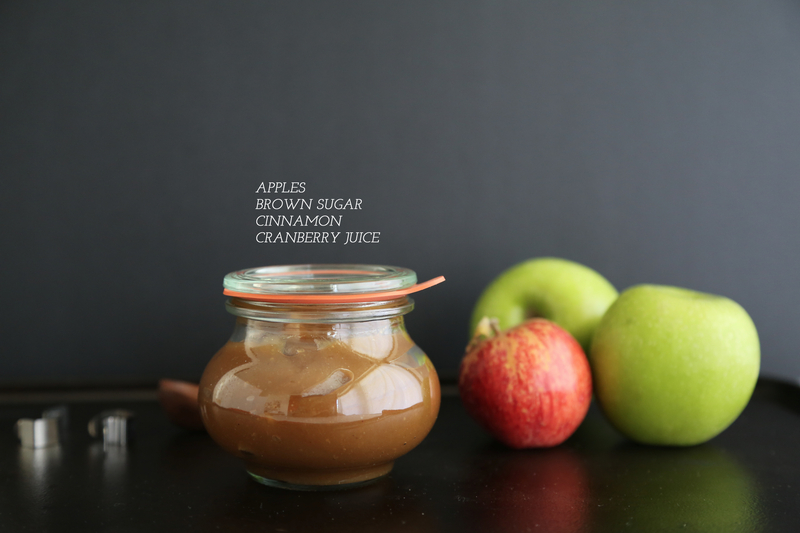 Apple butter: mele da spalmare | Comfort Foodie & Co.